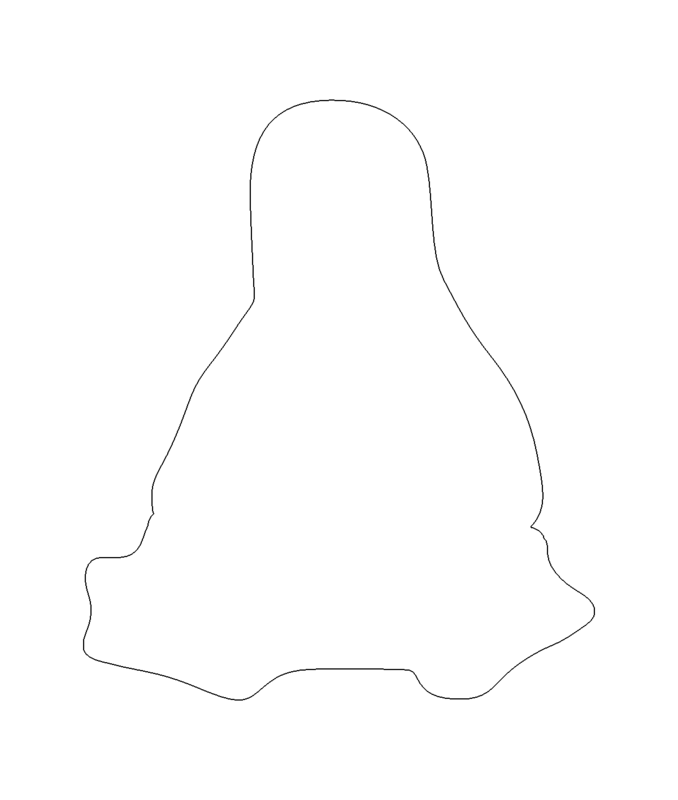 Sean asked me to conjure up a Tux cookie cutter for the presentation on DIY 3D Printing and the Makerbot Thing-O-Matic I’m doing at the Mid-Hudson Valley LUG meeting tonight and, as is always the case, it took a bit more conjuring than either of us expected. 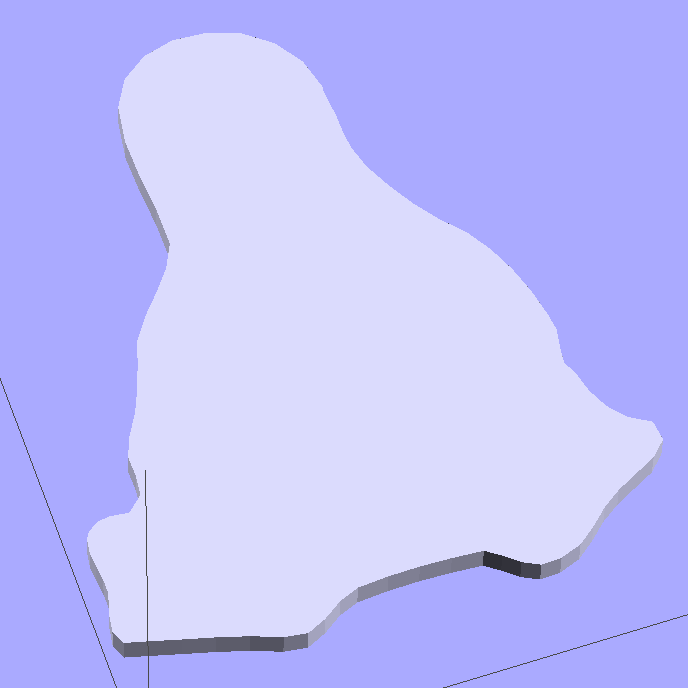 The DXF import still didn’t work dependably, so I exported the Tux Slab from OpenSCAD to an STL file; if you want to extrude a solid Tux, that’s probably the way to go. 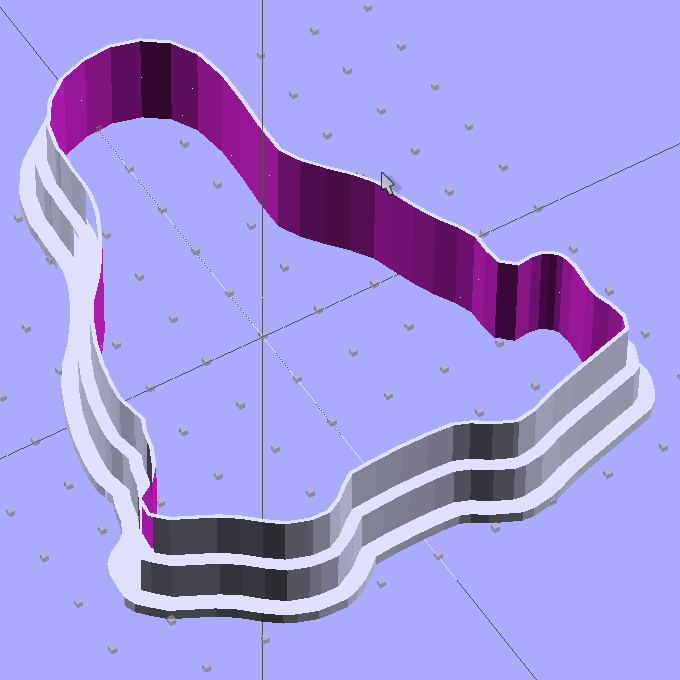 Importing the STL in the next steps worked fine. 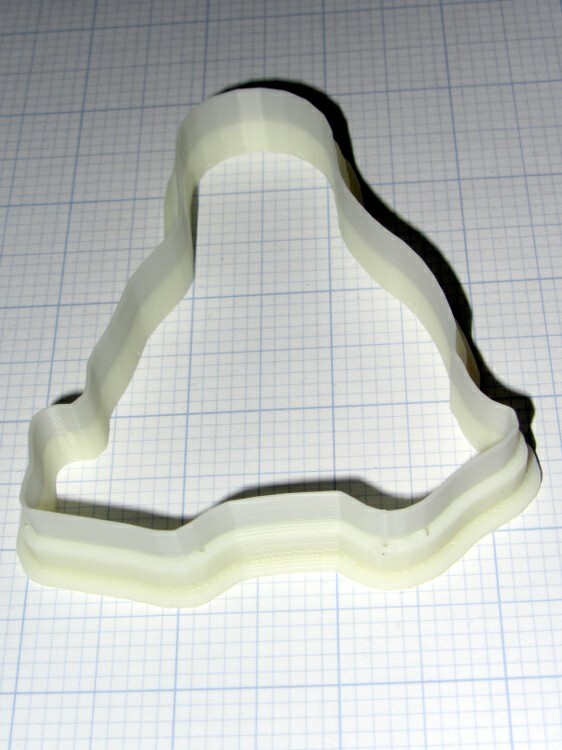 The Parametric Cookie Cutter by nateoostendorp creates thin cutter walls by subtracting a linear dimension from the X- and Y-axis extents of the shape. Unfortunately, Tux has crazy flipper feet that didn’t respond well to that; the walls developed gaps at the inflection points from self-intersections. The thicknesses and heights all derive directly from the extrusion parameters used to print the thing, because there’s not much room for roundoff. The middle section (the wall) is four threads wide, but Skeinforge divides the interior pair of threads into shorter sections with breakpoints at each sharp corner. The cutter section (the lip) is one thread wide, because I couldn’t get a good result with two threads. Each cutter takes about 35 minutes to build, so I boiled the highlights down into a thrilling 6 minute movie.